Further cuts to the UK defense budget will begin to impact on Britain’s operational capacity, critics argue, as Chancellor George Osborne presses ahead with military austerity measures worth £1 billion. The move could also end Britain’s ability to meet the symbolic contribution of two percent of gross domestic product (GDP) to NATO – a topic of fierce debate in the run-up to the recent general election. 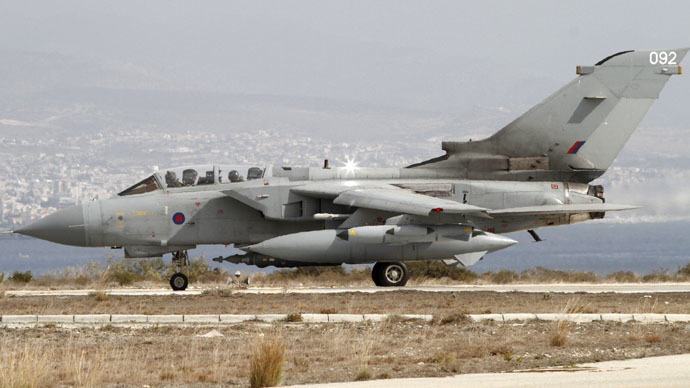 The Treasury has requested the Ministry of Defence (MoD) make cuts of £1 billion. In a statement, an MoD spokesperson said: “We are confident that we will spend two percent of GDP on defense in this financial year. Some experts suggest savings could be made by delaying the bringing into service of certain equipment, like the controversial and long delayed F-35 Typhoon combat aircraft. The UK has been under sustained pressure from the US to hit the two percent NATO target. In February, US Army Chief of Staff Raymond Odierno aired his concerns over UK defense cuts. “We have a bilateral agreement between our two countries to work together. It is about having a partner that has very close values and the same goals as we do,” explained Ordierno at the New America Foundation’s ‘Future of War’ conference. “What has changed, though, is the level of capability. In the past we would have a British Army division working alongside an American army division,” he added. Cuts mean the US Army now expects Britain to provide only half its previous commitment. Concerns have also been aired at the highest level of American civilian authority. During private meetings with Cameron in Washington in January, President Barack Obama said reducing spending levels from the current two percent of GDP would undermine NATO agreements.